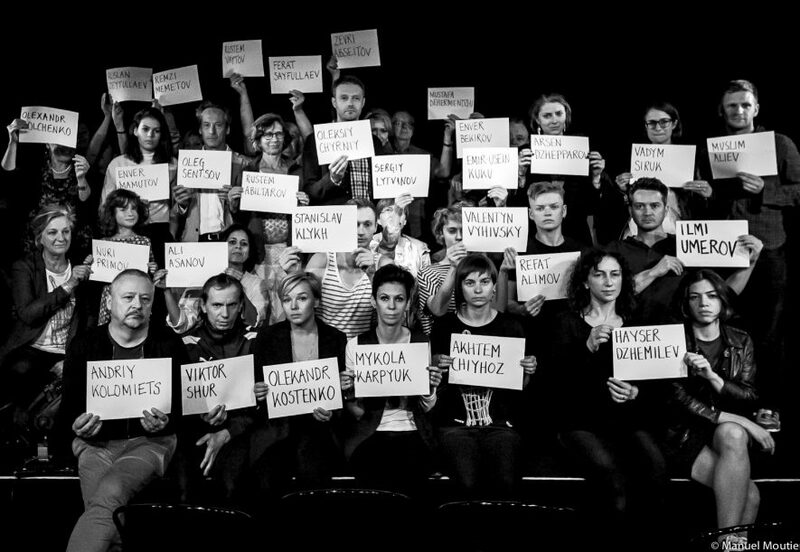 The exiled artistic directors of the courageous Belarus Free Theatre, an underground theatre that operates under the last dictatorship in Europe, will give the 23rd Freedom Lecture. Together with the Hungarian artistic activist Márton Gulyás we will discuss the importance of artistic and democratic freedom in Europe. Were you not able to attend the Freedom Lecture or would you like to rewatch the programme? Click here for the recording. The Belarus Free Theatre is not your average theatre company, but an award-winning collective that operates under the last dictatorship in Europe. The BFT was founded in 2005 as an artistic act of protest against the dictatorial regime of President Lukashenko in Belarus. Prohibited since the beginning, the theatre company has no other option than to perform underground. All performances are illegal and both actors and audience have experienced violence and been thrown in jail. Since 2010, its founders live in exile in London. Nevertheless, they continue to do their work. They put on unique performances addressing repression, violence and censorship all around the world. Even in Belarus, where the audience is secretly invited by text message. At the Forum, exiled BFT artistic director Natalia Kaliada and actor Nicolai Khalezin give the Freedom Lecture. In a theatrical performance, actor Khalezin evokes what it means to live under a dictatorship. Natalia Kaladia speaks about how BFT’s continued efforts to fight for democratic freedom. After the lecture, another brave European artist will join them on stage to speak about restricted freedom in Europe: Márton Gulyás, an artistic Hungarian activist who has been denounced by Orbán as national security risk. How can artists express themselves freely and critically in their work and oppose those forces that are trying to restrict them? Over the last couple of years many incredible speakers have shared their personal and inspiring stories during the Freedom Lecture, including the exiled Turkish journalist Can Dundar, the Egyptian writer and activist Nawal el Saadawi, Eva Schloss, the stepsister of Anne Frank, opposition leader Andrei Sannikov from Belarus and Patrice Cullors & Janaya Khan (co-founders Black Lives Matter). This programme is made possible by vfonds and Stichting Democratie & Media.